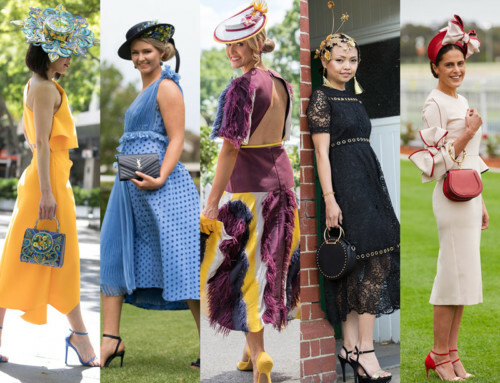 The prestigious Fashions on the Field competition was first introduced in 1962 as a way of getting more women to attend the races. Hopeful entrants were enticed by a generous prize pool of 7,000 pounds and could enter in two categories; outfits under 30 pounds and outfits over 50 pounds. Back then, the winner’s main prize was usually a return trip for two to the UK. By sea. Margaret Gaudion, winner of the inaugural 1962 Fashions On The Field. Picture: Cameron Laird. Source: MelbourneHub. 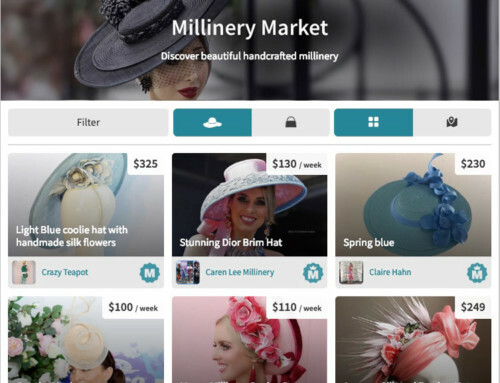 54 events later, the first prize alone is a whopping $100,000 worth of goods. A shiny new Lexus is the main attraction. MYER came on board in 1983 as the major sponsor and in 2004, the introduction of the Myer State FOTF competitions brought excitement to the whole nation. 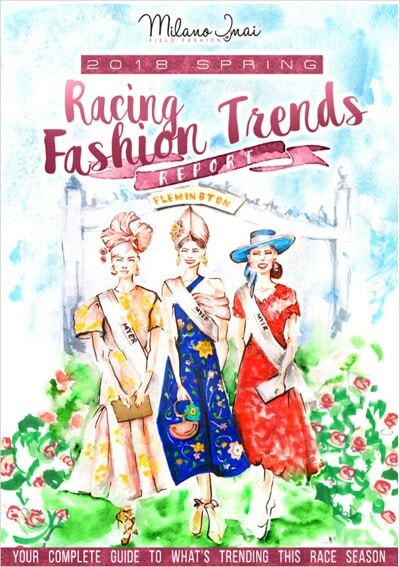 Each state held a competition for a fashionable filly to go on and represent them at the Spring Carnival at Flemington racecourse on Crown Oaks Day. Let’s take a look at the past 14 Melbourne Cup National Winners! 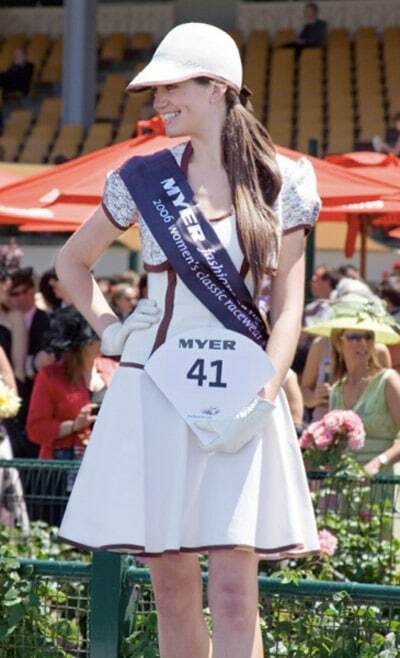 And see if wearing a label from the major sponsor MYER helps secure a win, or do home made outfits reign supreme? 2017 Winner: Crystal Kimber from Victoria, 28. Wearing her grandmother’s skirt, recreated into a dress by her mum. Crystal Kimber, an entrant whose style is always impeccable and who I love to follow, has finally taken out the National Title. Crystal has competed in FOTF since she was 16. 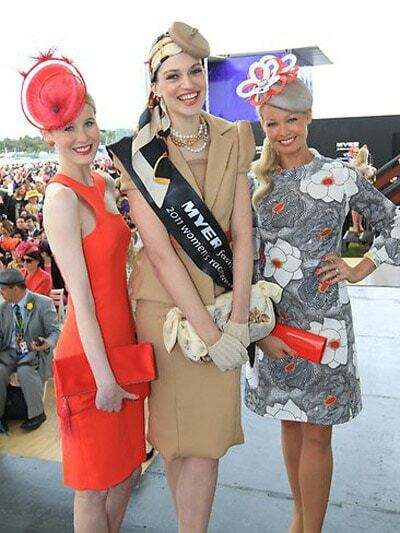 She and her talented seamstress mum, Gail, have fun creating race day looks together. Crystal took out the NSW State Final in October held at the Coogee Pavilion. This year she decided it was time to pull out her Grandma’s multicolour floral raffia embellished skirt that was handed down to her, to recreate into a shift dress with asymmetrical pink and blue straps. Her very on trend millinery, a pink sinamay turban, was made by a friend and Crystal embellished it with hand made raffia flowers. She completed her look with pink, green and gold jewelled earrings and a pink ring bag from Bag Queen Karen. 2016 Winner: Courtney Moore from Victoria, 23. Wearing an Alice McCall geometric top. The stunning Courtney, 23, from Geelong took out the South Australian title in March. This is her fourth year entering Fashions on the Field. She wore a white and navy Alice McCall geometric top with cap sleeves, featuring cut outs and a navy blue midi length mullet hem skirt from Ellery. Courtney’s talented mum, Irene Moore, who took up millinery just 4 years prior, created her hand wired and hand beaded headpiece which complemented her outfit perfectly. She accessorised her look with white half palm gloves, navy clutch from Myer and navy closed toe heels from Asos. An absolute favourite of mine from the moment I saw it! Click here to read Courtney’s interview and find out where she got inspiration for her outfit. 2015 Winner: Emily Hunter from Victoria, 28. Wearing a dress designed and made by her mum. Last year, 2015, we had the lovely Emily Hunter wearing a navy jacquard dress lined with pink satin that her very talented mother made (and completed the night before Cup Day). She had won the Melbourne Cup Fashions on the Field competition just two days before and went on to win the National Finals against the other 6 state finalists. Her millinery was a pink, yellow and navy leather and lace ensemble made by Lisa Schaefer. Emily wanted a simple dress to compliment her fab millinery and sought inspiration from Pinterest after not being able to find anything she liked in stores. Second and third place winners wore the brand of the season, Self Portrait, stocked by Myer. Click here to read Emily’s interview and learn about her life on and off the track. 2014 Winner: Brodie Worrell from Victoria, 21. Wearing a Toni Maticevski Dress stocked at Myer. Brodie was a vision in white taking out first place on Derby Day in a Toni Maticevski dress, which she purchased just days before the competition. The “it” dress of the carnival was also donned by two other contestants on Derby Day and was worn by the Millinery award winner. This is the first time a Derby Day winner has gone on to win the National Finals in traditional black and white. Second place in the National Finals was won by a contestant also wearing a stand out Maticevski number. 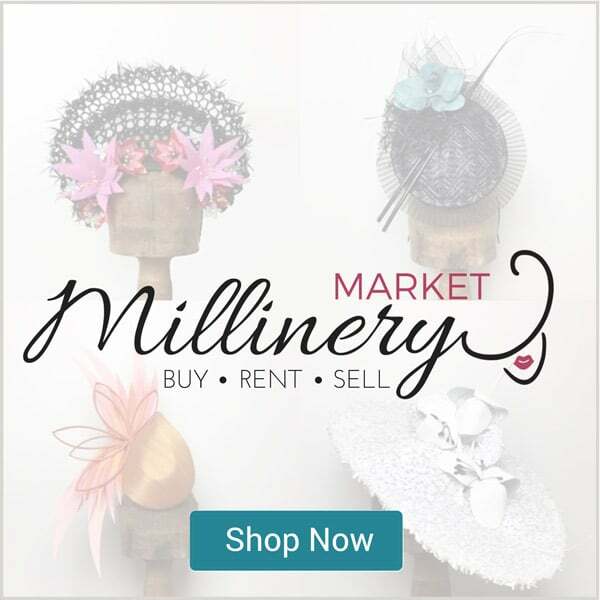 Felicity Northeast made her millinery in a last minute fashion, by pulling apart various hats and redesigning them into a new stand-out piece for Brodie. 2013 Winner: Chloe Moo from New South Wales, 19. Wearing a dress designed by her mother. Chloe was a stand out from the moment she hit the FOTF enclosure. She wore a hand printed red, black and white dress designed by her mother, a fashion designer in Darwin. The printed fabric was designed by an Aboriginal woman from Daly River in NT. She wore a stunning Monsoon Millinery piece by Melissa Cabot. Chloe won the Melbourne Cup FOTF and went on to win the National Finals bagging herself a red convertible Lexus! 2012 Winner: Amy Robson from Queensland, 22. Wearing a dress designed by her grandmother. 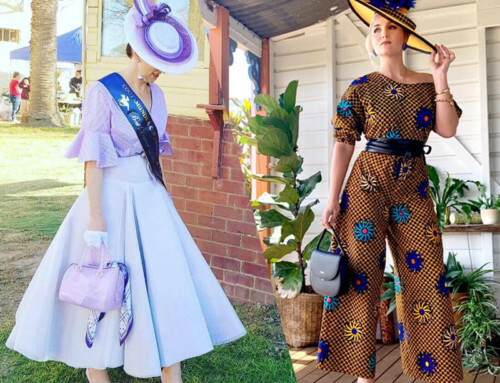 After winning the NSW State FOTF, Amy went on to win the National Finals wearing a colorful dress with beaded peplum (LOVE) designed and made by her very talented grandmother, Sandra Robson. The beads on her peplum were pulled off an old handbag. Brilliant idea. Sandra also made Amy’s striking florescent yellow and black millinery. 2011 Winner: Angela Menz from New South Wales, 27. Wearing an outfit designed and made by herself! The very talented Angela is no stranger to FOTF, having competed in over 100 competitions and placing in many. 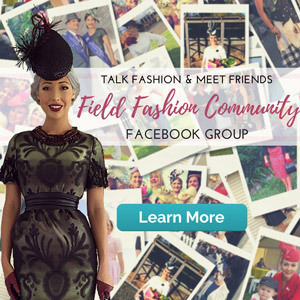 She makes all her FOTF outfits and millinery. Angela won the NSW state FOTF competition and then the National Final on Oaks Day. Her outfit was created by hand dying silk to incorporate the year’s trend of colour blocking, executed superbly. She wanted a sculptural hat that gave her height. The savvy creator managed this gorgeous look for just $400 in total! Angela has an expert eye for FOTF and has judged many events. These days you’re likely to catch her snapping up a storm at every Spring Carnival, for her blog On Track On Trend. 2010 Winner: Jaydee Menegon from Queensland, 25. Wearing a vintage dress bought online. In 2010, FOTF was taken out by Jaydee, in what must have been the cheapest dress to ever win FOTF. She wore an $18 vintage dress purchased online. Jaydee had the dress remodelled in Cairns by her designer friend Nigel Vogler so that it had cap sleeves, a fitted bodice and a full skirt. Still to this day it is one of my absolute favourite outfits! The perfect way to practice racing fashion in your everyday life! Have fun experimenting with different elements of racing fashion using your existing wardrobe. Plus, you'll receive exclusive weekly fashion tips to help you stand out at your next race event. Thanks for Subscribing! Please check your email for your free download. 2009 Winner: Elizabeth Pollard from Western Australia, 29. Wearing Nicola Finetti & Alannah Hill. Winning the Perth State Final, Elizabeth went on to win the National Final in a silk dusty pink, cap-sleeved top by Alannah Hill and cream Nicola Finetti pencil skirt. The judges put a lot of emphasis on Elizabeth winning as she adhered to all the dress regulations such as covered shoulders and a modest length skirt. Her millinery was by Tania Tegan from Passchendaele’s in Perth. 2008 Winner: Kirsty MacGillivray from Victoria, 20. Wearing Alex Perry (a David Jones brand) and Kirrily Johnson. Kristy took out the prestigious Melbourne Cup Day- traditionally known for bright colours, in an all-black outfit from Kirrily Johnston and Alex Perry who is stocked at David Jones, Myer’s competitor. She paired it with black opaque stockings and shoes. Her modern black and white millinery is by Ward and Whylie. 2007 Winner: Lorraine Cookson from New Zealand, 45. Wearing her own design. Lorraine, the first international contestant to ever win the National Final, wore an outfit she designed by herself. She had the grey silk & tweed jacket and beige skirt made in Hong Kong. Her grey velvet fedora is by Dollie Vardin. She won first place on Melbourne Cup Day and then went on to win the National Final, taking home the prized Lexus. Previous to this, Lorraine had won a Mercedes at the Mercedes Prix De Fashion back in New Zealand. Lucky Lady!! 2006 Winner: Sarah Schofield from Victoria, 19. Wearing her own design. Sarah took out the Derby Day title wearing this white and brown dress and a white felt hat she made herself for under $100. Her cleverly chosen bolero featured a print of little brown horses. At the time, Sarah was studying Millinery at RMIT under millinery extraordinaire Richard Nylon. She borrowed her gloves from a friend and showed up without a bag! After her initial National Win, Sarah went on to come first on Melbourne Cup Day in 2011, coming second in the Victorian final. 2005 Winner: Laua Gleich from Victoria, 20. Wearing an outfit made by her mother. Laura’s talented mother whipped up an outfit with a violet pleated skirt with red and pink waist details and a cream bolero just two days before Derby Day. They made the millinery together. The total cost of her winning outfit was a few hundred dollars including shoes, bag and accessories. 2004 Winner: Anett Wockenfuss from Victoria, 25. Wearing Nicola Finetti and Kerrie Stanley. 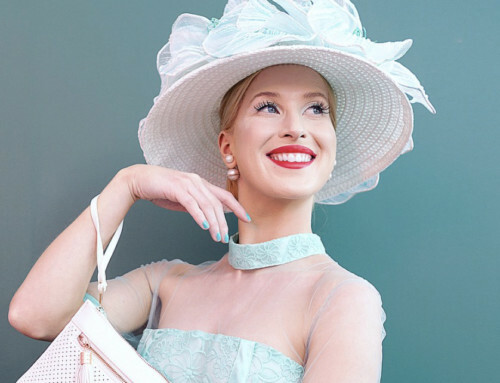 German model Anett, from Carlton, took out the Derby Day, then National Title wearing a silk chiffon beige and black Nicola Finetti dress paired with a textured black Kerrie Stanley Beret. Some years it feels like Myer brands get a helping hand in the winner’s circle, but really, according to these stats, a talented family member is more likely to win you the crown! Also interesting to note is that 9 times out of 14, a dress has trumped over a skirt and top combo. Victoria is the state with the highest number of wins (8 out of 14). My theory behind why Victoria entrants are so successful is that the Victoria state final is held last (10 months after the Queensland state final), allowing entrants to incorporate the most up to date fashion trends. Victoria also has the highest number of entrants out of all the state finals, raising the overall level of competition. Also check out all the colour prominent amongst the Derby Day winners! I’m looking forward to watching fashion evolve in the years to come. Read next: 22 ways to wear black and white and a look at our past Derby Day winners. 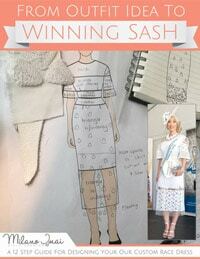 Want to try designing your own custom made dress just like some of our national winners? 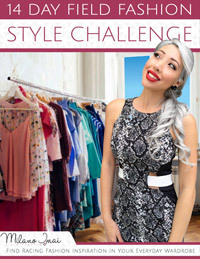 Download my free outfit design guide below and I’ll walk you through 12 steps to designing your perfect outfit. 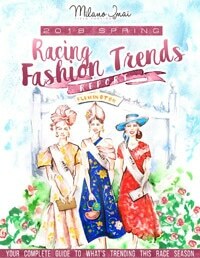 The 2018 Spring / Summer Racing Fashion Trends Report. A 39 page comprehensive guide to what's trending this race season. Plus, you'll receive exclusive weekly fashion tips to help you stand out at your next race event.